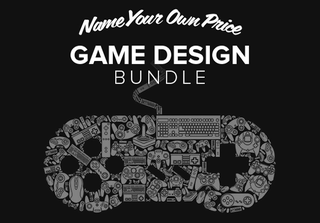 If you've ever dreamed of joining the many game developers who feature on these pages, now's your chance — this bundle of courses covers four key areas of game design, (incl. Unity 3D) and the best part? It's name your own price. After all, who has played Halo Reach or Uncharted 2 and not wanted to recreate the awesome gameplay and jaw-dropping graphics? These four courses teach the required skills over 115+ hours of video tuition. That ranges from development in Unity 3D and 3ds Max, to the designing of layouts and artwork for both 2D and 3D titles, plus content on how to make your games truly compulsive. As a bonus, you can also get 72% off 2 Years of TigerVPN – considered the Fort Knox of VPNs. For $49, you get 2 years protection.